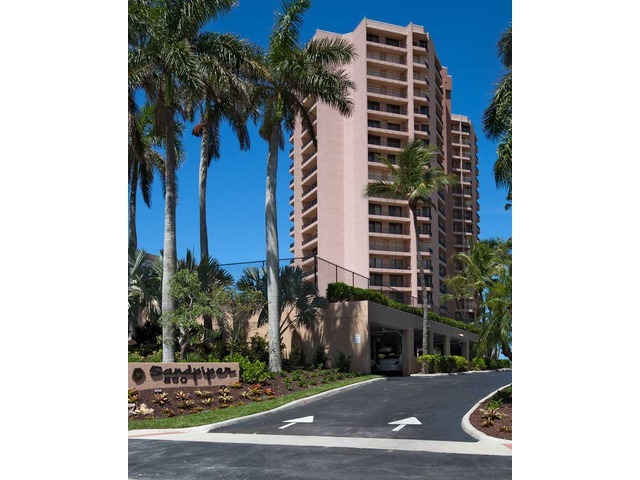 Sandpiper is a 19 floor high rise condominium located beachfront on Marco Island. Built in 1982 with 72 units in the building, Sandpiper condos offer 3 bedrooms with living area ranging from 2,071 to 2,171 square feet. The Sandpiper common areas have been completely renovated and offers many amenities including fitness room, tennis, pool and spa, barbeque area and private access to the beach.